MIRRA thanks all of the Trustees and volunteers who contributed much time and effort to the new firehall construction project. It has been a long, arduous and difficult struggle for all involved. As this latest process has been progressing, MIRRA Directors have been approached by members of the public with many questions as to status of developments. This is not a simple process as we tend to build very few fire halls. This is also a difficult task for the public themselves who are facing another cost of living increase. MIRRA believes this decision is important and costly and that time should not be an issue in getting it right to insure success at referendum. We are also concerned as to the limited opportunities for off island taxpayers to be informed of or participate in the referendum process. 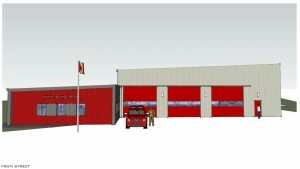 On February 15th 2014, MIID held an open house at which they presented their proposal for the new fire hall. The new building is still in the $2.5 million range. The Trustees have done well to reduce the price but what is the breakdown of the costs? In 2011, the Improvement District received an estimate for the cost of upgrading the existing vehicle bays to utilize them as office space by removing the doors and installing seismic interior walls at $100,000.00. We understand the cost of removing the old hall is over $300,000. There is also an added cost to relocate the fire department during construction. With our small population, a lot of whom are on fixed incomes, an undertaking of this magnitude is a serious issue which must justify the additional increase in the cost of living that our community must bear. Another major issue is the state of our local economy, housing market declines and population declines. Why was a drive through design chosen? As vehicles park 2 deep, almost every call out time the front truck only will leave having to back in returning due to the rear truck remaining in the bay. What is the point of the extra complications and additional costs of land development to accommodate a drive through? What type of building contract have MIID entered into? Why have they contracted before community consultation? Was the bid process for the building a design/build tender for a turnkey project with a guaranteed price? If not- why not? If not, how can we establish an actual cost to go to referendum? In a July 2013 memo the fire chief stated that we would be a 4 vehicle fire department – why is the proposal for a 6 bay fire hall? At the last go round of public input on the firehall project there was a strong community will to retain the old building and re-purpose it if possible. The natural option is to acquire a portion of the adjoining westerly property and construct or expand the new building into that location. The cost discussed is $50,000 for a 1/2 acre. Can we now acquire the property, and doing so, site the new building there and retain the old building? Can this be accomplished more efficiently if we drop the drive through aspect of the proposed new structure? Keeping the old building will provide a community asset as well as an appropriate shelter for the Fire Department staff and trucks during construction in accordance with Fire underwriters dwelling protection grade 3B. If we remove the old building before the new one is completed, we will bear the expense of constructing new office and temporary garage structures for the storage of vehicles. Failure to do so in accordance with regulations, will be a violation of the Fire Underwriters 3B regulation potentially affecting insurance policies on Mayne Island. Have MIID investigated this? Community members clearly expressed a preference for a parcel tax at the last referendum. There are benefits to both styles of taxation, but affordability to all taxpayers must be a paramount consideration in selecting a taxation model. MIID has chosen to use an assessment based tax as opposed to a parcel tax. The greatest tax burden will be on the higher assessed properties and homes and local businesses. A parcel tax is different in that everyone pays the same and you can opt to pay it in advance in one time payment. This tax is for a community asset not a service. What are the comparisons between what it will cost individuals and businesses under both types of taxation? Taxation method calculations ( for comparisons only these are not precise but are considered representative); comparisons using $35.00 (Trustees estimate) per $100,000 assessed value for residential and for business 2.45 times residential or $85.75 per $100,000 assessed value for businesses @ $650,000 value. – $8000.00 per year or 5% of taxes. MIID is already billing each property owner for the Health Centre tax, firehall is just an added item. MIID already has hired staff for administration and a $40,000 tax software program bought in 2013. MIID does not have significant defaults in taxation. Any collection costs can be added to the delinquency. MIID costs of collections including legal, should be added to the bill on the delinquent property. These are some questions, issues and comparisons that have been requested, brought to and discussed with MIRRA Reps. MIRRA has posted them for your information. Some of the issues may be important to you and some may not. MIRRA is striving to provide a balanced viewpoint for all to assess based on their individual circumstances. It is important for MIID to now hold an open forum Town Hall meeting where members of the community can direct questions to the Trustees. 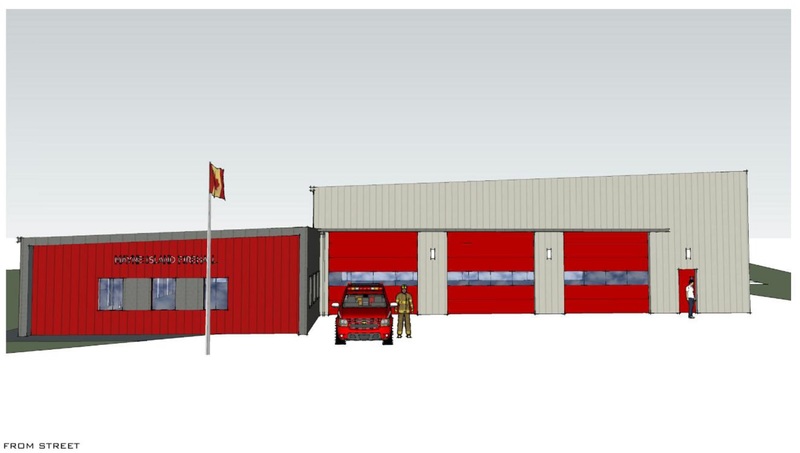 Please let us know what you think of the new firehall proposals, suggestions you may have and if you would or would not support the current proposals. What do you think MIRRA should do at this point, if anything? This entry was posted on Thursday, March 13th, 2014 at 6:26 pm and is filed under Fire Hall Construction, Web site news. You can follow any responses to this entry through the RSS 2.0 feed. Both comments and pings are currently closed.